A woman was to be arraigned today for stealing over $200,000 from an Irvine victim by claiming to be a psychic working to rid the victim of a curse inherited while in her mother’s womb. Lisa Debbie Adams, 35, Los Angeles, is charged with 32 felony counts of second degree commercial burglary, two felony counts of credit fraud, one felony count of grand theft, and one felony count of dissuading a witness with sentencing enhancements for aggravated white collar crime over $100,000 and property loss over $200,000. If convicted, she faces a maximum sentence of 30 years and four months in state prison. Adams is being held on $250,000 bail and must prove the money is from a legal and legitimate source before posting bond. 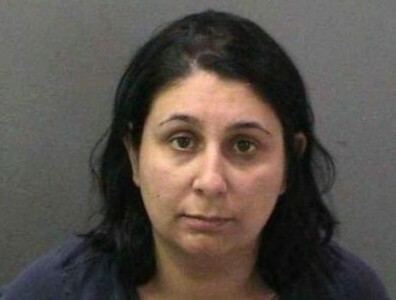 She was expected to be arraigned today at the Central Jail in Santa Ana. After learning that the victim had $100,000 in an IRA, the defendant is accused of meeting on several occasions with the victim in Adams’ West Hollywood apartment and the victim’s Irvine workplace. When the victim informed Adams that she no longer wanted to work together, Adams responded that they couldn’t stop now that they had started and the victim and victim’s family would be in danger of the curse if she didn’t follow the defendant’s instructions. The victim continued to comply for fear that her family would be in danger. In addition to the cash withdrawals, Adams is accused of having the victim buy $30,000 in gold bars to make a “shield” for protection and open several credit card accounts to purchase over $100,000 in luxury items and gifts to “ward off evil” including clothing, furniture, electronics, accessories, and jewelry. Adams is also accused of convincing her to purchase a Mercedes convertible, for which she could not afford the payments and had to sell back to the dealership at a $5,000 loss. In August 2009, Jane Doe reported the defendant to the Irvine Police Department (IPD), who investigated this case. Adams was arrested by IPD April 15, 2011, at her residence. Orange County Deputy District Attorney Matt Lockhart of the Major Fraud Unit is prosecuting this case. They should both go to jail. As much as the “psychic” is at fault here, some people are victims of their own stupidity. Question. Proverbs 17:16 Why should a fool have money in his hand to buy wisdom when he has no sense? Why are tax dollars being spent to punish this when someone wantonly threw their money away on selfish entertainment?